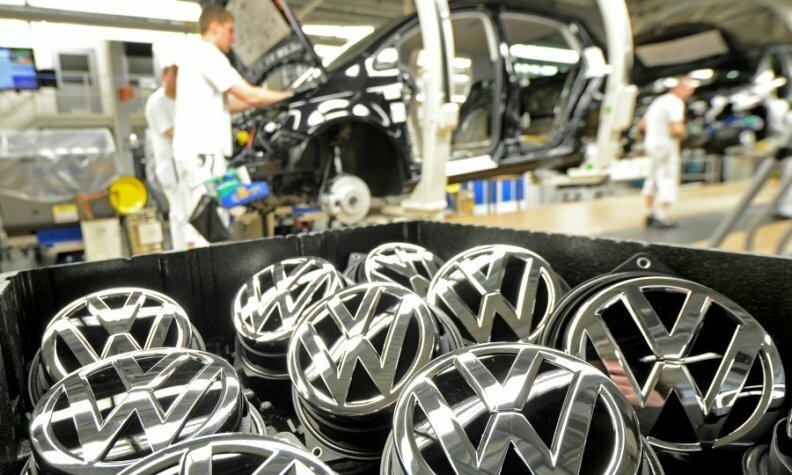 FRANKFURT -- Volkswagen brand's global sales rose 2.5 percent in March but slid 1.3 percent in the first three months as slow sales in China and western Europe offset recovering demand in North and South America. VW brand sold 557,400 vehicles worldwide last month, the automaker said in a statement on Wednesday. Three-month registrations fell to 1.44 million. The brand's China sales recovered in March, rising 3.6 percent in the month after the launch of the locally-produced, long-wheelbase Tiguan L, which sold 14,700 units in its first full month of sales. Chinese volume was down 3.8 percent in the first quarter. In western Europe, volume slipped 0.8 percent last month, hit by a 2.7 percent drop in the brand's home market of Germany. Through March, sales fell 2.6 percent with German volume down 6.8 percent. VW brand's sales are recovering in the U.S. after dipping heavily during the automaker's diesel-emissions scandal. U.S. sales increased 2.7 percent in March, which helped quarterly volume rise 10 percent. South America was another bright spot with March deliveries up 16 percent in March and 13 percent in the first quarter. Brazilian demand jumped 16 percent last month, but slipped 0.6 percent over the quarter.